September brings a hint of crisp coolness back into the air as the days go by, and Kyoto festivals abound to take advantage of the end of summer, highlighted by leisurely moon viewing parties. 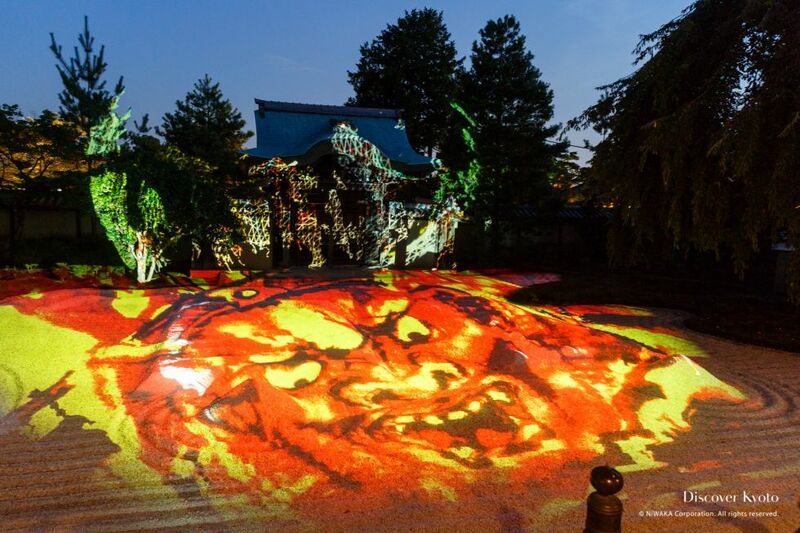 With summer ending, Kyoto begins to wind up for the activities of the fall season that include a plethora of festivals and events. 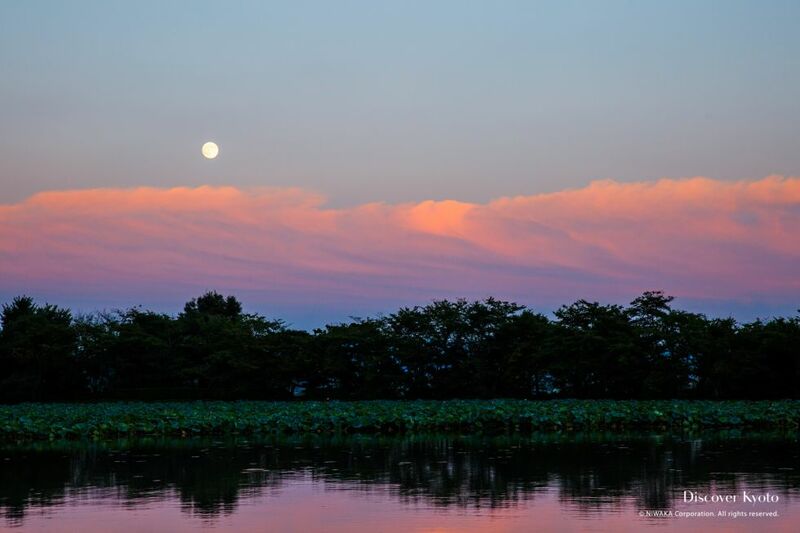 A popular tradition during this month is moon viewing, where you can leisurely behold the beauty of the moon, often accompanied by poetry and special sweets. Now is the time to enjoy getting out again, whether that means gardens, seasonal flowers, a river cruise, or the last days of the year’s cormorant fishing season. 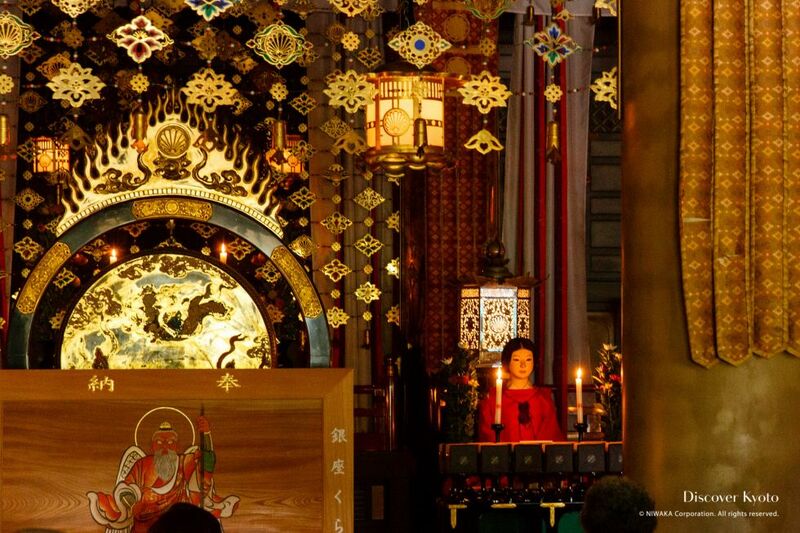 The number nine is considered to be an auspicious number by the Shinto religion, and based on that belief Kamigamo Shrine in northern Kyoto hosts the Chrysanthemum Festival (Chōyō no Sekku) on the ninth day of the ninth month. In Kyoto, visitors can enjoy a relaxed and cultural moon viewing reminiscent of the traditional Heian style parties, and one of the most popular of the several hosts you can choose from is Daikaku-ji temple. 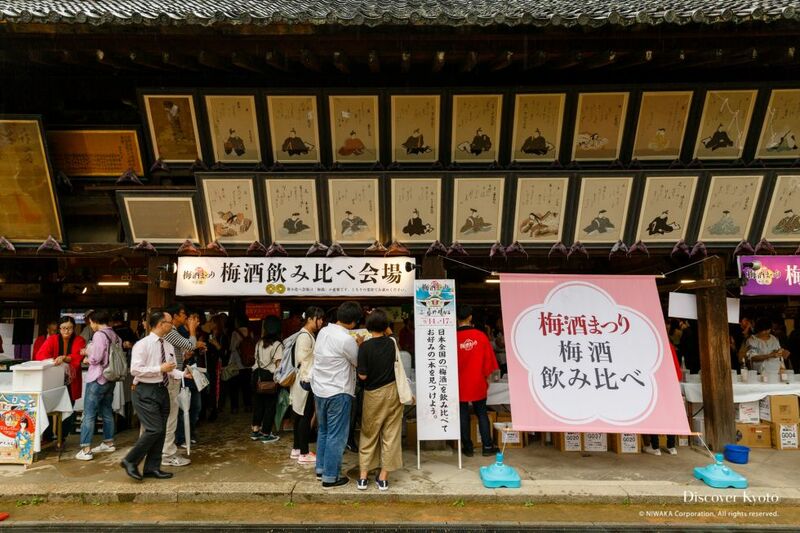 Kitano Tenmangū shrine in northern Kyoto has become the Kyoto host site of the Zenkoku Umeshu Matsuri (Japan Umeshu Festa)! This event brings together umeshu (plum wine) brewers from all over the country to offer samples of their products. 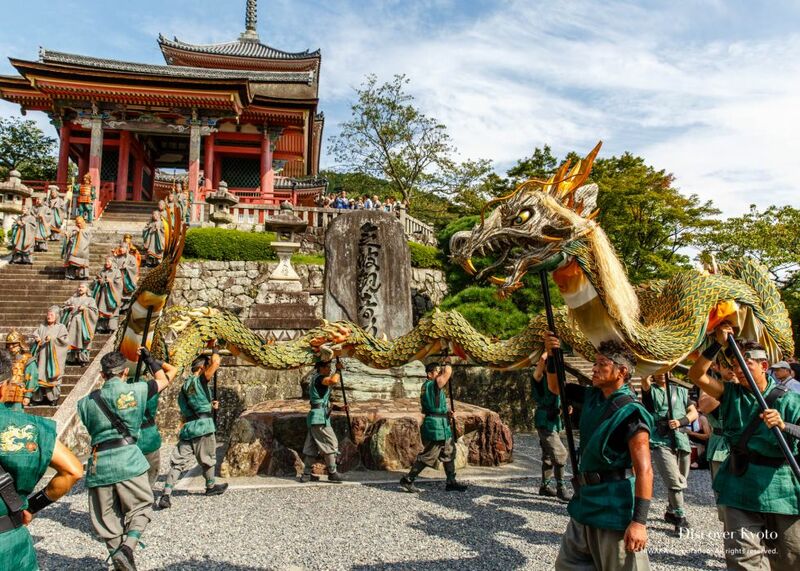 The main public event of the Yoshitsune Festival is a martial arts demonstration performed on the main temple steps. Shiramine Shrine, a small shrine in Kyoto's Kamigyō Ward, is host to the Annual Kamigyō Takigi Nō performance. 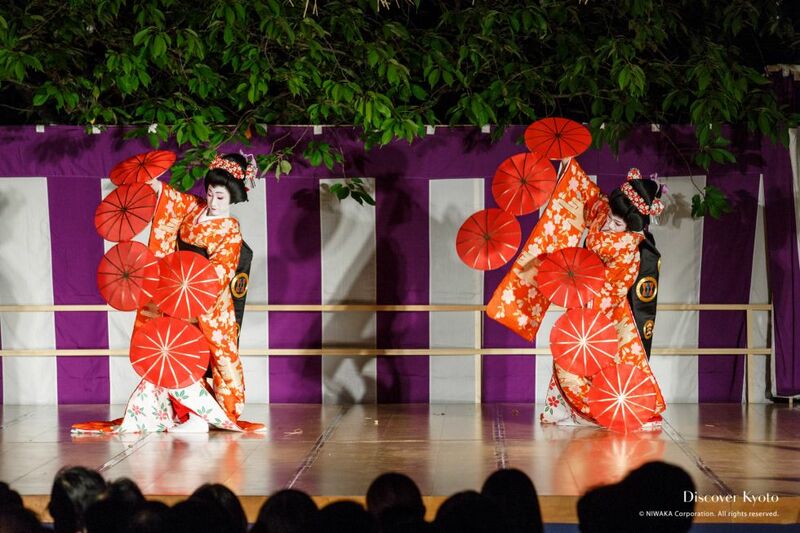 Takigi nō, or "firelight nō", is performed throughout an evening on a lit open-air stage. 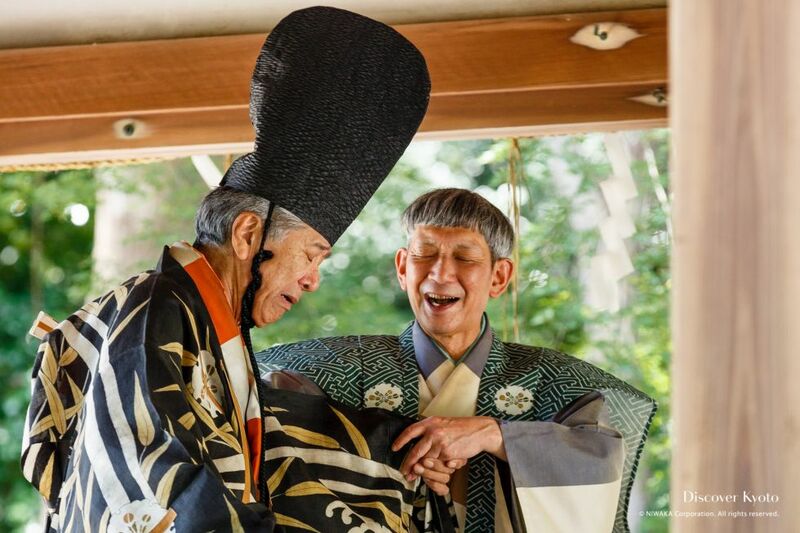 During the hagi (bush clover) season worshipers at Nashinoki Shrine near the Kyoto Imperial Palace can enjoy not only the gorgeous flowers but also a series of cultural performances. 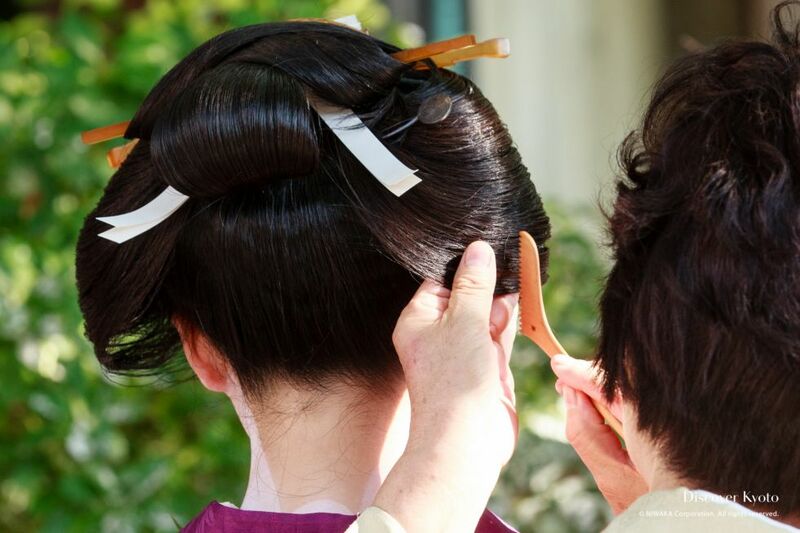 Representing hairstyles and ornamentation from the Kofun Period all the way to the present, the Kushi Matsuri parade has volunteers carrying signs distinguishing which era the women represent. 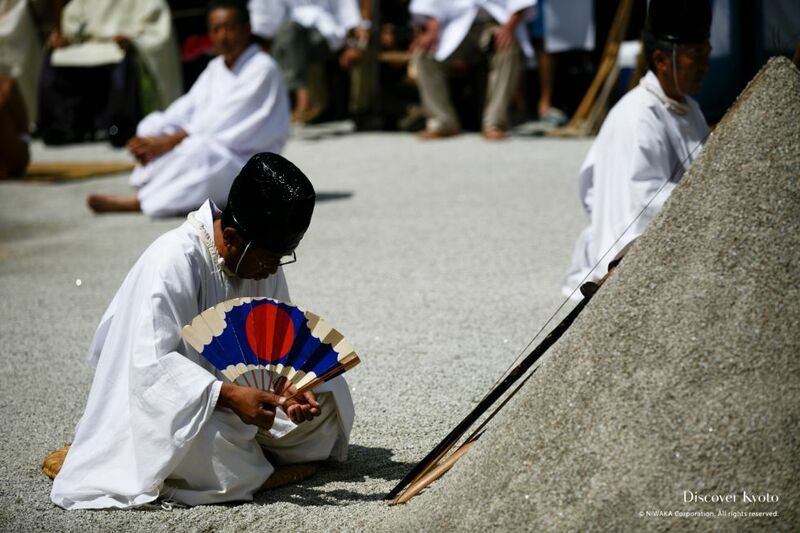 The Meigetsu Kangen-sai festival is one of many events held in honor of harvest moon viewings once enjoyed by court nobility in the Heian period. 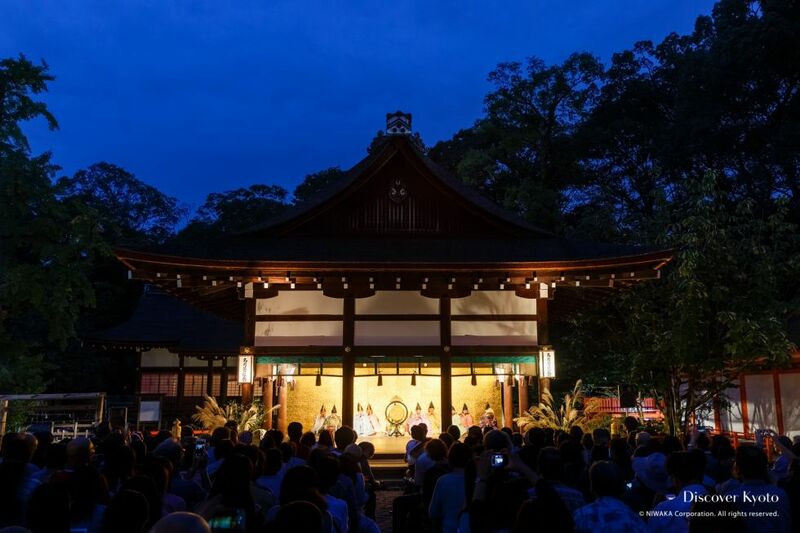 Visitors in Kyoto can carry on that tradition today by watching a variety of musical performances by firelight as the moon rises over Shimogamo Shrine.